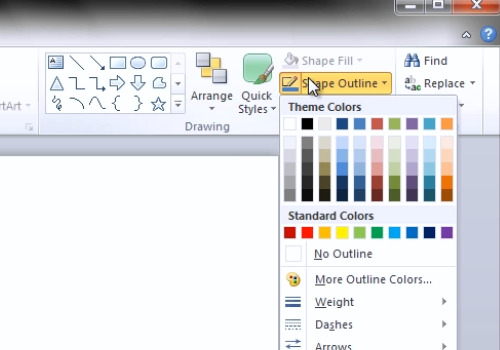 In this video tutorial we will show you how to draw lines in PowerPoint. Launch the PowerPoint. Select the “Home” tab and then click on the “Line” button. Press the desired line starting point. Press and Hold the left mouse button, move the cursor toe the ending point and then release the left mouse button. Select the result line by double clicking on it and choose the style from the “Dashes” submenu under the “Shape Outline” dropdown menu. 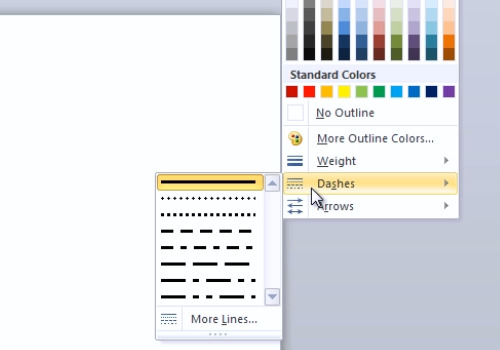 To draw and arrow, click on the “Arrow” toolbar button. Then draw an arrow in the same way as you draw a line by liking on the starting point and moving the cursor to the ending point. You can also select the line color, style and weight in the “Shape Outline” dropdown menu.